The US International Trade Commission has again rejected (PDF) Kodak's complaint against Apple and Research In Motion. In January 2010, Kodak accused the mobile firms of infringing on US patent number 6,292,218, which describes an image previewing technology allegedly used in iPhones and BlackBerrys without Kodak's blessings. 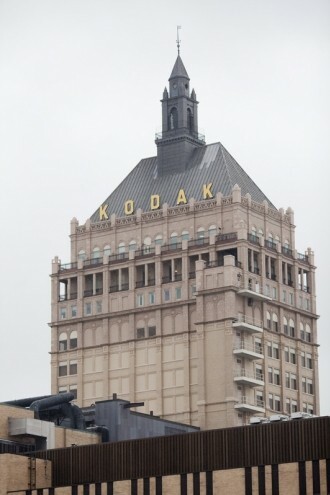 In January 2011, an ITC judge reviewed the case and denied Kodak's claims. ITC Judge Thomas Pender upheld that decision this week, though he cut Kodak a little more slack. Pender concluded that Apple and RIM are infringing on one of the claims made in the patent, but he believes the claim is invalid for "obviousness." The iPhone 3G is mentioned as containing the patented technology, while the iPhone 3GS and iPhone 4 are clean. No specific RIM handsets are listed in Monday's ruling. When it made the complaint in 2010, Kodak sought an injunction against the offending handsets, which might squeeze royalties out of Apple and RIM. While things don't seem to be heading in that direction, it's still a possibility. The two rulings thus far have been preliminary steps. A six-member commission will make the final decision by September 21, 2012. Despite suffering setbacks, Kodak has its fingers crossed. "We are pleased the ALJ has concluded that Kodak's patent is infringed by Apple and RIM," Kodak said. "We expect to appeal to the full Commission his recommendation on validity. The ALJ's recommendation represents a preliminary step in a process that we are confident will conclude in Kodak's favor." Apple and RIM haven't commented, though there isn't much to say beyond some variation of "neener-neener."